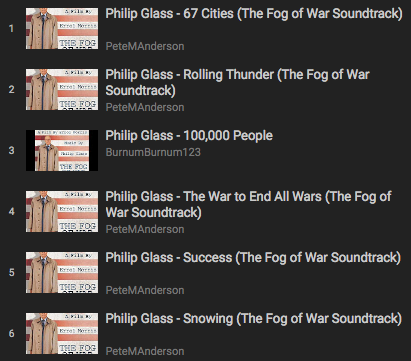 These are instrumental soundtracks offered to help sensory intense students focus through the use of headphones or earbuds. ​They are arranged to last 12 to 16 minutes, about the time we spend on reflection and journaling sessions at the beginning and end of the day. Headphones or earbuds are required--previous classroom experience has shown "keeping it turned down low" is not enough to avoid creating discord if several students play different tracks, or (even worse) play the same track with a few seconds' lag. Even with headphones or earbuds, please do not play music from the archive at a level that would be distracting to your classmates. Please take care that the browsing and selection of music do not distract you from the work at hand. Take no more than a minute to settle in before you begin to think and write. Enjoy! 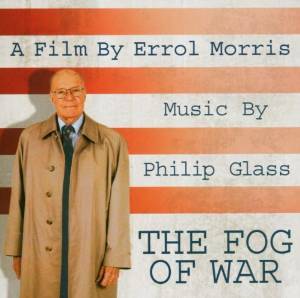 The Fog of War: Eleven Lessons is a 2003 documentary about the life of former U.S. Secretary of Defense Robert S. McNamara including his reflections on modern warfare and the "fog of war," the difficulty of making decisions in the midst of conflict. The film was directed by Errol Morris and features an original score by Philip Glass. The Unknown Known: The Life and Times of Donald Rumsfeld is a 2013 documentary about the former U.S. Secretary of Defense and congressman, directed by filmmaker Errol Morris. Rumsfeld earned notice for a 2003 press conference wherein he stated that a major purpose of the Department of Defense is to evaluate "unknown knowns," or "the things you think you know, that it turns out you did not," to justify the invasion of Iraq. The soundtrack is composed by Danny Elfman. 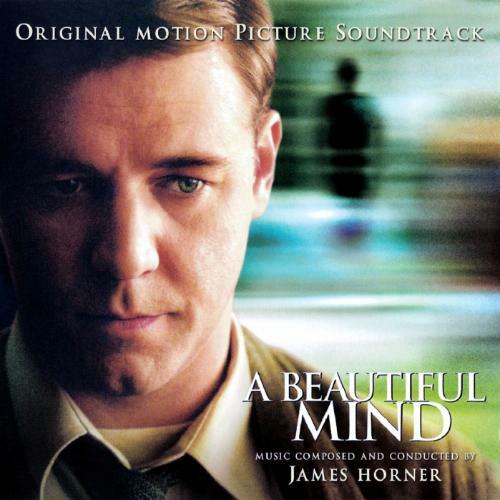 A Beautiful Mind is a 2001 American biographical drama based on the life of John Nash, a Nobel Laureate in Economics who struggled with schizophrenia and mental illness. The soundtrack by James Horner includes vocals of opera singer Charlotte Church.